Before blogging I was something of a wayward journaler, often inconsistent yet still persistent in documenting my existence in some way. I kept a diary off and on in high school, wrote in parts of a few random journals in college and have filled several blank books over the course of my adult life. It can be somewhat cathartic (along with humiliating and hilarious) to read through these books from time to time and realize changes over time, answered prayers, progress and hopefully, personal growth. Who hasn't experienced extreme mortification when blowing the dust off an old journal and taking a peek at your old self? Please tell me I am not the only one! Oh the self-pitying humanity! Oh the insecurity! For instance, I recently stumbled across this journal I half-heartedly kept during college, circa. 1986-1990. After grimacing at the country blue and ribbon wearing geese marching across the whole thing (shiver), I took a deep breath, opened it and scanned some of the entries. What does it say of me that I started writing the silly thing to document my relationship with my college boyfriend (yes, that was my first sentence)? Like that was the most important thing ever. What does this entry from January 11, 1988 say about me? "Today started the spring semester. Last sem. was the worst; really BAD grades! Spring will be different. I am going (underlined for emphasis) terrific grades (dean's list) this term. Also although my foot's still in a cast I'm going to exercise and LOSE WEIGHT. I have it set in my brain! I'm going to get down to a size 6 again! I'm going to have a good attitude this semester & succeed in classes, relationships, etc." Seriously? My 20 year old self wrote that? I started wondering, if my 41 year old self could go back and talk to the ridiculous, self-centered, immature and insecure 20 year old self, what would I tell her? Besides the fact that some people should never have a spiral perm? Well, that possible conversation could be its own post. Off the top of my head I would tell her good luck with making the Dean's List, don't jump out of the dorm window on pledging skip night because you WILL break your foot, you and your boyfriend will break up when he starts to date one of your best friends over the summer and size 6 jeans are truly a distant memory. 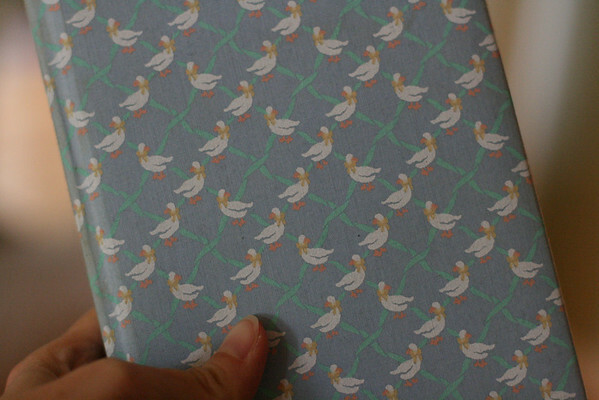 Seriously though, whenever I read through my old journals I am struck upside my head (BAM!) with the obvious insecurity oozing from the pages, no matter my age or life circumstances. I have always defined myself by what others think of me, measured my worth through relationships (with friends and boyfriends), sought validation from others, put way too much emphasis on outer appearances and struggled with body image issues. And I still do. As the mother of a young daughter, how do I instill confidence in her and hopefully prevent her from someday writing similar entries in her journals because she is riddled with self-doubt and insecurity? Oh how this scares me! I'm only on chapter 2 and have already been wearing out my highlighter, getting whiplash from nodding my head to almost every sentence and feeling like she wrote this book just for me. And every other woman out there that is tired of struggling with insecurity. My old journals read much the same way. I often ask myself now though, "What will my 60 or 80 year old self, tell my now 41 year old self?" I shake my head at my 20 year old self quite often. What a great book! I'll have to look for a copy! Thanks for posting! Laura: Good point about what our future 80 year old selves would say to us now. It has been an excellent read so far (I just finished chapter 5). 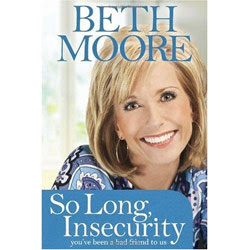 Her writing style is easy to read and understand, almost like listening to a wise, Godly girlfriend. I'm Looking to buy [url=http://www.milesgershon.com/tv-stands.html][b]TV Stands[/b][/url] or TV [url=http://www.milesgershon.com][b]Wall Units[/b][/url] For an apartment I'mclosing on. Can you peoplegive me a good recommendation of where is the leadingplace to buy these? I live in New York and I heard that the big thing about these [url=http://www.milesgershon.com][b]tv stands[/b][/url] is the cost of shipping and installation.